Yep, you heard correctly: you can score these Michael Kors shoes for just $2.00. Or, how about this Chanel purse, or these Ann Taylor pumps…all just $2.00 each! So how does one score such amazing deals, you ask? The answer is What a Girl Wants, an event taking place in Burlington, Ontario on August 16th, 2015. Here, you’ll find thousands of new and upscale repeat clothing items for the entire family, including shoes, purses, jewelry, and more! Simply purchase your tickets online here for $21.00, show up on August 16th with a reusable bag in hand (you’ll probably need a large one! ), and pay only $2.00 for each item (cash only)! You’ll want to show up right when the sale starts: bright and early at 8:00 am, and you can browse some of the items in advance of the sale on the What a Girl Wants Facebook page. And, what makes this sale even more exciting, is that all of the proceeds support Habitat for Humanity Halton. Last year, this event raised $10,000.00 for the cause! 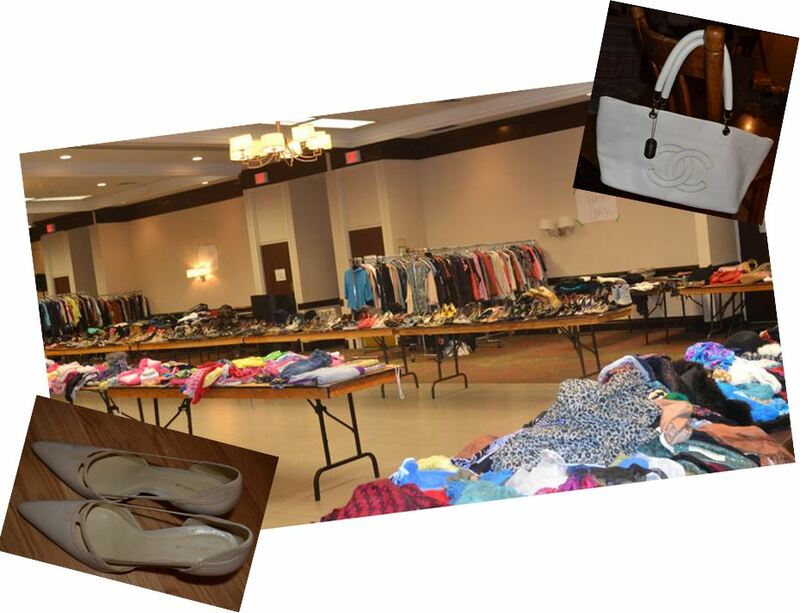 Even if you’re not able to attend the sale, now is a great time to clean out that closet of yours and donate! What a Girl Wants is currently accepting men’s, women’s and children’s clothing, shoes, purses, jewelry and accessories, and all items must be in excellent condition, and from a smoke-free home. Have some items you’d like to donate? Check out the What a Girl Wants website for contact information. Not able to attend but curious to know more? Yours truly (that’s me!) will be attending the event and, of course, blogging about all the amazing finds to be had! This event is truly one where fashion meets philanthropy; where you and your girlfriends can get together, haven fun, and make a difference. I hope to see you there (be sure to stop by and say hi if you see me!). Flamingo and Floral Finds Under $20.00! There’s something about flamingos that make me smile. Maybe it is that I associate them with sunshine and tropical destinations (or maybe it’s just because they’re pink…how cool!?). Either way, I can’t help but love the awesome clothing and accessories I’ve seen lately that pay tribute to such a fun (and chic) animal. Same goes for the floral trend that’s been around for some time now; who can resist an adorable bouquet of blooms around their neck? Not me. Here are some of my recent floral-and-flamingo-finds…did I mention they are all under $20.00? !